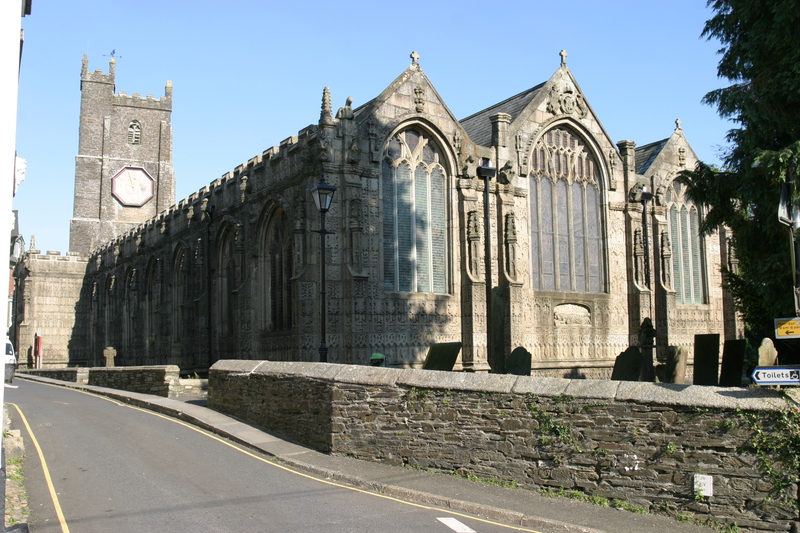 Launceston (where Charles Causley was born in 1917, spent most of his life, and is buried) is a beautiful and historic town, whose ancient core is filled with some of the most important architecture in Cornwall. This is perhaps unsurprising when one learns that this small, unspoilt town was once capital of the Duchy. The Normans started work on a castle here soon after the Conquest. Its famously round keep was built in the 13th century by Earl Richard, brother of Henry III and one of the most powerful men in Europe. 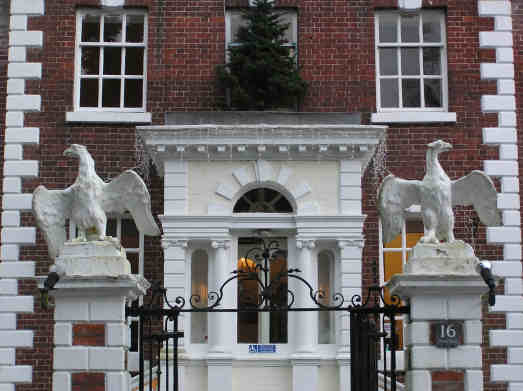 One of them is the recently re-opened and refurbished Eagle House Hotel (a good place for Festival-goers to check out for accommodation, and sometimes even used for Festival events), whose twin eagle statues were written about by Charles Causley. Another one, nearby, is Lawrence House, the town’s free museum; amongst other attractions, it contains a special exhibition dedicated to Charles Causley. 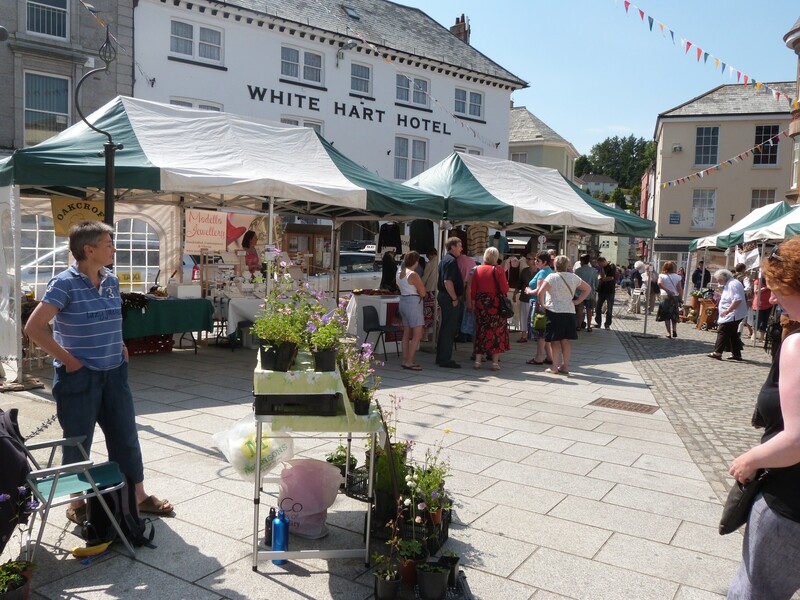 The town square is surrounded by listed buildings, dating back to Tudor times and beyond. The White Hart Inn has a doorway plundered from Launceston’s 12th century Priory (some ruins of which are still visible in a small park behind St. Thomas parish church). Explore the narrow lanes and alleys leaving the square to view the treasures of the past. St Mary Magdalene Church is one of the finest churches in the country. Founded by Edward, the Black Prince, it is noted for its unique exterior carvings. A curious legend attached to the church, involves landing a stone on a statue of the Virgin Mary high on the wall of the east end and winning a new suit! That legend, like so many other places and elements of the town of Launceston and its surroundings, was also the subject of a poem by Charles Causley. 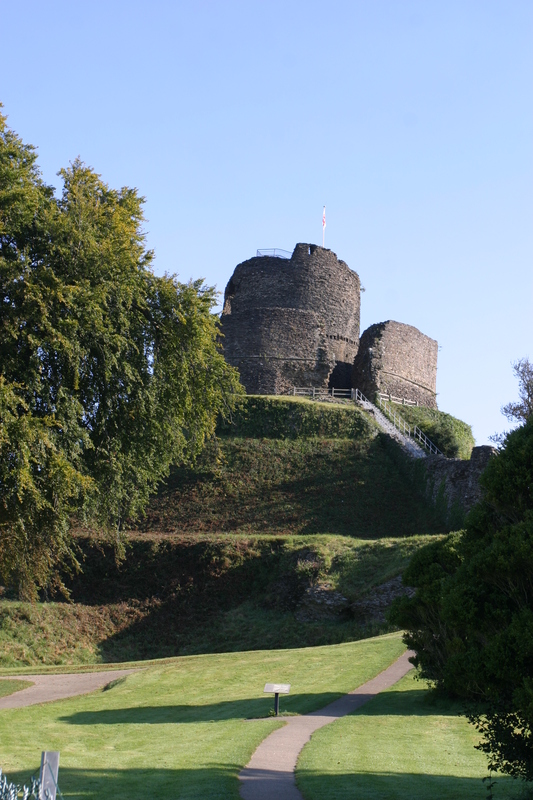 Enjoy a quiet individual stroll in the summer sun – a fine way to enjoy Launceston’s world-class architectural heritage. 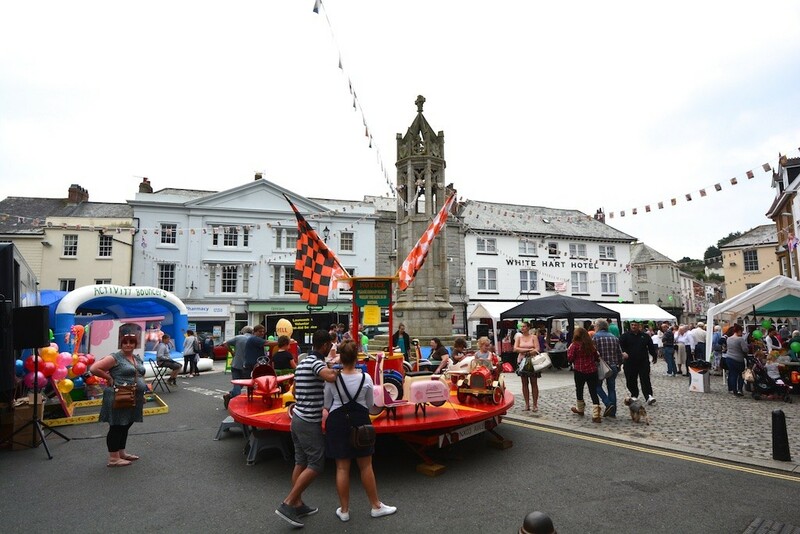 Pick up a town map at Launceston Tourist Information Centre. 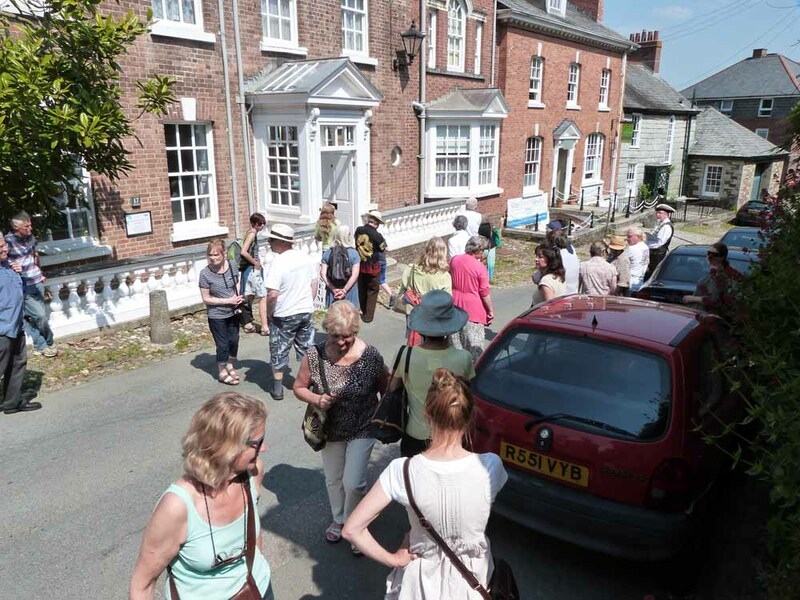 There’s also a map and notes for ‘The Causley Way: a walk through his home town’ (a self-guided tour of Launceston, linked to a number of his poems based on the town’s sights and stories) from the Charles Causley Trust’s website: just click on this link to see it. 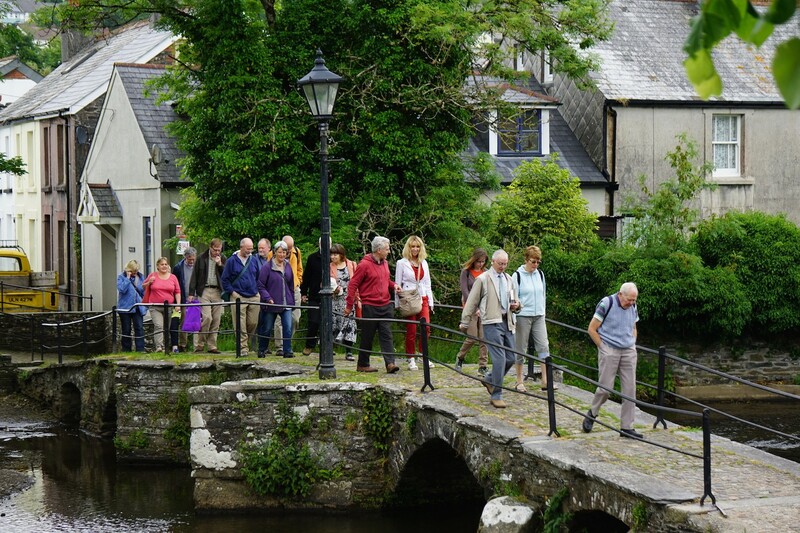 Alternatively, you can take part during the Causley Festival in one of our regular guided group walks around the town. In recent years, there have been several of these taking place on separate days, each one having a different, very knowledgeable guide and focus. See the programme for the upcoming Charles Causley Festival for more details. A map of the regular Festival venues in the town centre can be seen if you click HERE .